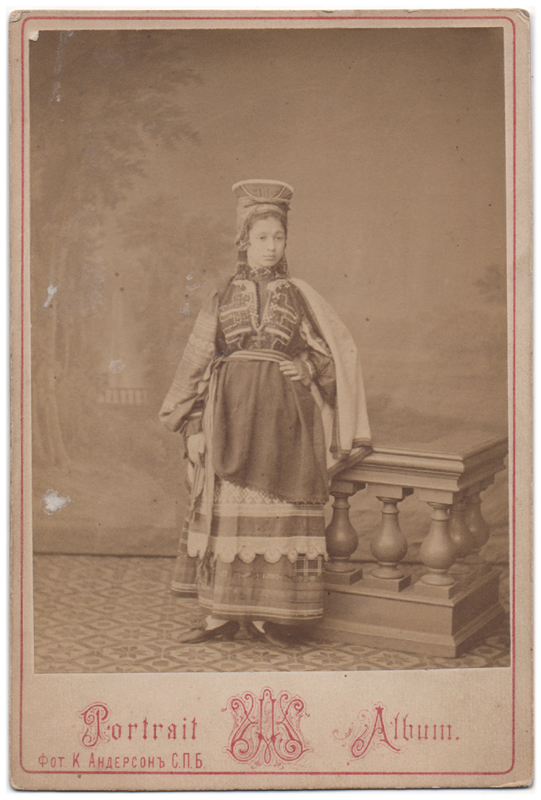 Two photographs of two different women wearing somewhat unusual costumes. One looks like it could be a traditional costume of some sort, but I do not know about the subject well enough to be certain. 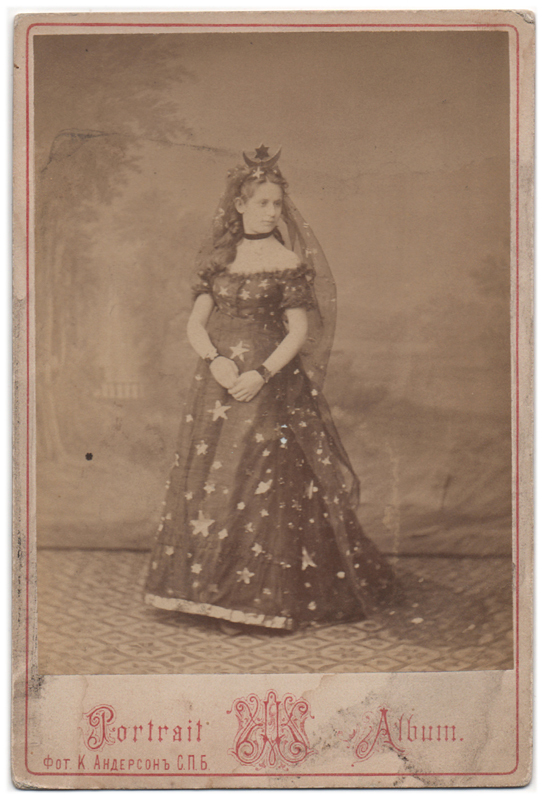 The other is clearly just a fancy costume: the dress itself is patterned with stars, and the woman wearing it also has a headpiece in the shape of a star and a crescent moon, a long star-speckled veil, and a wristband decorated with a large star on both of her wrists. The carpet and the backdrop are the same in both photos, and this (along other clues) leads me to believe these have been taken at a same location and possibly during a same photographing session, perhaps as a part of a larger series. Both pictures have been taken in St. Petersburg, Russia, by photographer K. Anderson. There is some handwritten text on the back of each photograph, but I can’t figure out what it says, except that the year 1875 is mentioned on both. I think it’s safe to assume this is the year when these photographs were taken.